Manufacturer of a wide range of products which include kohinoor road safety warning sticks ke-902, floor safety signs, linear delineation system, median marker, led batons and rechargeable led traffic baton. 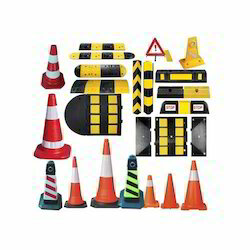 We are the leading suppliers of Road Safety Warning Sticks. 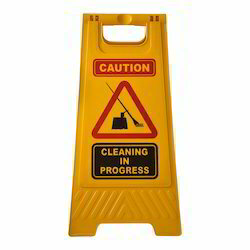 We have emerged as a trustworthy manufacturer, wholesaler and supplier of optimum quality Floor Safety Signs. Used in different offices, hotels, restaurants to indicate wet floors so as to ensure the safety of the common public, offered signs are designed using optimum quality raw material and sophisticated technology in adherence with industry standards. Our quality examiners test these signs against different parameters in order to ensure their quality. Apart from this, our customers can avail these signs in variegated designs and sizes at market leading price. Size Of The LDS 4 x 34 inch. (3 inches is the actual length of the panel to formation). Use Of LDS Round about gap in medium,flyovers and curve. The Linear Delineation System is used to guide a vehicle or person about the road turns and path. The Linear Delineation System reflects the light at night and thus helps in protecting the drivers from accidents and injuries. The company is a prominent Linear Delineation System Manufacturer and Supplier in India. Linear Delination System (LDS) panels are fabricated from prismatic grade reflective sheeting laminated on to thin gauge aluminum.LDS panels are formed to a unique shape and applied to concrete barriers and metal guard rails providing retro reflection across a wide range entrance and observation angles. Empowered by a technologically-advanced infrastructural base, we are able to offer premium quality range of LED Batons. Visible alert from far distance to the motorists, offered batons are designed using quality proven raw material and innovative technology under the vigilance of our adroit professionals. Apart from this, our provided batons are tested on various parameters so as to ensure defect free delivery to our clients. 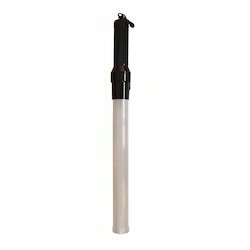 We are a leading manufacturer of Rechargeable/Battery Operated LED Baton that can be installed with ease and accuracy. These batons are a highly important component of a comprehensive collection of road safety gear. Our clients are ensured timely delivery of international quality products at their doorstep. 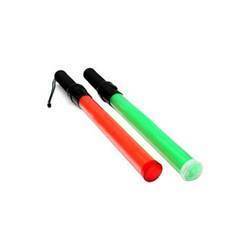 We offer a wide range of Police Baton which helps is managing traffic during night. It has the ability to switch between two varying colors. Clients can avail these LED's in red and green colors. The crystal clear lens of these LED's assures high visibility and optimum performance. The entire range can be custom-designed in accordance with the specifications required. 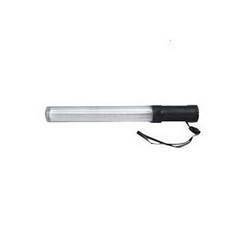 Its is also called marshaling torches or signal batons which are made from polycarbonate with HDPE handles and energy efficient LED’s. Primarily light batons used by traffic police, under construction site marshals, parking attendants etc to channelize traffic. 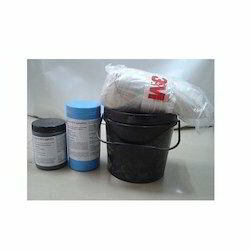 We supply 3M Resin and Hardener Kit. Used for fixing RPM / Cat Eyes on Roads & also for fixing Speed Breaker, spring Post, Corner Guard etc. 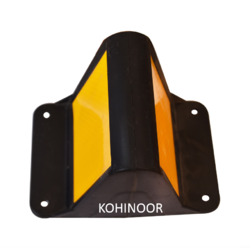 The body of Kohinoor Post is made of special flexible material PU (Polyurethane). It can be quickly restored to its original state without doing any damage to spring post as well as vehicles in case of high – speed collision by vehicles. Three bands of highly reflective tape are pasted on the spring post. It keeps excellent mechanical and chemical properties such as impact resistance and tensile strength thus withstands in very hot or very cold temperatures. It has Ultra Violet stabilizer so that it is not discoloured. 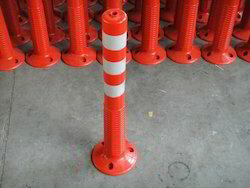 We are the manufacturers of Traffic Cones in India. The offered cones are manufactured using the best quality basic material and progressive technology in adherence with industry norms. Our provided cones are available in varied designs and sizes as per the needs of our clients. Used to create separation or merge lanes during road construction projects, these cones are highly acknowledged for their high strength and smooth finish. 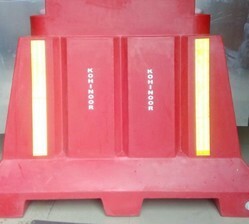 These are also known as reflective traffic cones, PVC Traffic cones, Rubber Traffic Cones etc. Road Safety Products are specifically designed to be provided on roads and highways to fulfill a variety of tasks safety point of view. 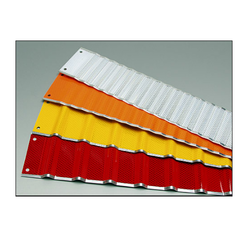 The products are manufactured from high durability polyethylene material. The virgin raw material is compounded to impart strength, stiffness; UV stability gives additional life to road safety products. By keeping track of latest market development, we are engaged in offering our clients an excellent quality Plastic Safety Barriers. The provided barriers are designed from the best quality basic material and modern technology in compliance with industry quality standards. Furthermore, these barriers are tested against different quality measures so as to ensure their quality. Clients can avail these barriers from us at market leading prices.